While physical and mental disabilities have been historically stigmatized in the U.S., the film and media industry has been part of a recent push to change the country’s attitude towards people with differences. The movie “Wonder,” based on the book of the same title, does just this. Released Nov. 17, the film follows 10-year-old Auggie Pullman, a boy whose facial disfigurements—caused by a genetic mutation—leave him a victim of bullying and stereotypes. Over the years, the entertainment industry has increased the number of individuals with disabilities depicted in movies and TV shows. Still, only one percent of characters on television are openly identified as disabled, according to the Gay and Lesbian Alliance Against Defamation annual report of diversity on television. Conversely, nearly 13 percent of Americans live with a disability, Pew Research Center reports. Anne Tucker, who has a son with autism at Churchill High School, recognizes the impact media representation has on her son. Some of, these representations can be more unrealistic than beneficial. Characters are either incredibly ingenious or minimized. A study by psychologist Paul Hunt identifies 10 common stereotypes the media uses to portray characters with disabilities: pitiable or pathetic, an object of curiosity or violence, sinister or evil, crippled, laughable, his/her own worst enemy, a burden, non-sexual and unable to participate in daily life. 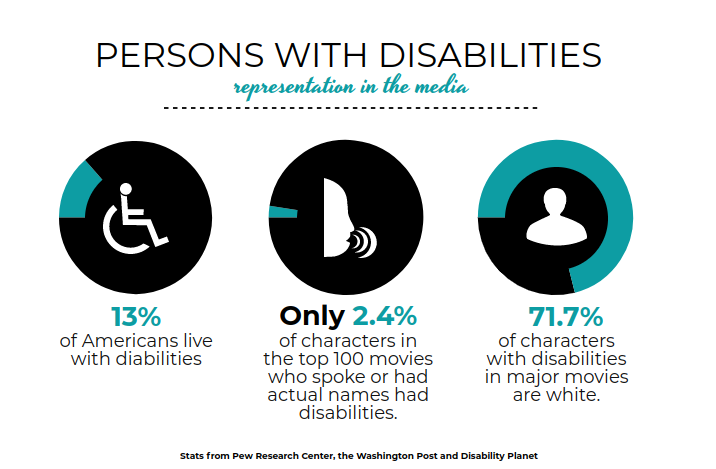 In addition to the stereotypes, many shows and movies define characters by their disabilities. Various television shows, though, have transitioned to contain characters whose disabilities aren’t the primary aspect of their appearances on screen. Actor Russell Harvard, who plays Mr. Wrench on the popular comedy series “Fargo,” is deaf in real life and on screen, though his deafness is not designed to be his character’s primary trait. Students who spend time with kids with special needs have the opportunity to develop heightened awareness of disability portrayal’s impact on self-esteem. Best Buddies club president Lily Tender says she feels it’s unfair to label and define someone based on their disability. The Fox series “Glee” incorporated multiple characters with disabilities throughout its six-year run, including Becky Jackson, played by Lauren Potter, who has down syndrome, and Artie Abrams, played by Kevin McHale, who is paralyzed in the show, but not paralyzed in real life. The character proves to others that he could participate in activities like glee club and have fun, and is not in fact tied to his disability. Organizations like Best Buddies focus on ending social, physical and economic isolation for people with disabilities while teaching them job preparation and important leadership and socialization skills through their one-on-one peer program. Whitman’s Designated Hitter elective also allows students to assist teachers in special education classes, working with students with disabilities in the Learning for Independence Program (LFI). 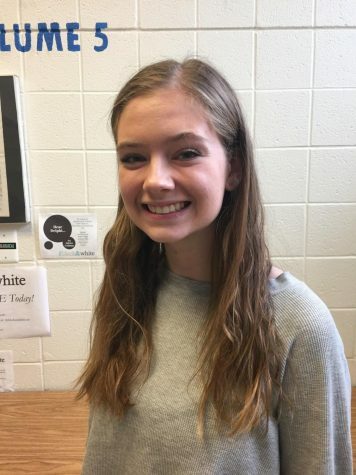 “Media representation for them can be harmful because it doesn’t show the spectrum of disabilities or what having a disability is really like,” junior Eleanor Wartell said. Media representation for individuals with disabilities is also important for the development of kids without disabilities. Many LFI students recognize the need for their own representation in media. Whitman LFI alum Dylan Kuhnhenn appeared as a paid extra on HBO’s movie Game Changer, which put out a call for extras with down syndrome. As an actor and viewer with a disability, he understands the importance of media representation for his community. Although “Wonder” starts out with Auggie portrayed as a victim of bullying, he gains the strength and courage to advocate for himself. This inspirational film raises awareness around disabilities, and with it, the industry has taken another step toward normalizing narratives inclusive of disabilities.